Great and Holy Wednesday 24 April: Bridegroom Matins at 6.30 pm, followed by the service of Holy Unction. Great and Holy Thursday 25 April: Divine Liturgy of St Basil at 9.30 am. Reading of the Twelve Gospels 6.30 pm. Great and Holy Friday 26 April: Vespers and bringing out of the Epitaphion, 3.30 pm. Matins and procession with the Epitaphion 6.30 pm. Please do bring flowers for the Epitaphion and for decorating the church for Paskha. Great and Holy Saturday 27 April: Vesperal Liturgy of St Basil with Old Testament readings at 9.30 am. Day of the Resurrection, 28 April, Paschal Vespers at 6.30, followed by a bring-and-share Feast in St James’ Church Hall. Father Patrick Hodson, our Dean, will be coming to take services on Great and Holy Friday, Great and Holy Saturday, and the Midnight service of the Resurrection. Wishing everyone a Holy and Blessed Paskha – Christ is Risen! Just a reminder that as announced last Sunday, there will not be any services in St Anne’s Chapel this weekend due to the meeting called by Archbishop Jean in Paris, which Fr Porphyrios and Dn Peter will be attending. 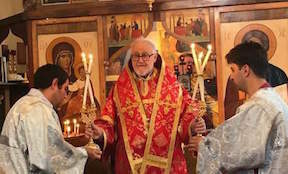 As a result of a decision of the Holy Synod of Constantinople arrived at in November, the parishes of the Exarchate for Churches of Russian Tradition in Western Europe, to which our parish of the Holy Prophet Elias in Devon has belonged for the past 10 years or so, are likely to be reorganised. At this stage it appears that we will be included in the Archdiocese of Thyateira and Great Britain and that therefore HE Archbishop Gregorios will become our bishop. A communique from the Council of the Archdiocese about this matter may be found here: http://www.exarchate.org.uk/communiqu%C3%A9-council-archdiocese-30th-november-2018 . Just a reminder that the church will be closed this weekend (October 20/21) and there will also be no Vespers service on Wednesday October 24th, but services will resume as usual from Saturday, October 27th. HE Archbishop John visited our parish last weekend, 14-15th July 2018. Our patronal feast of the Holy Prophet Elias was especially significant this year as we are celebrating the 50th anniversary of the beginnings of the parish. Fifty years ago the monastery church at Willand outside of Exeter was dedicated and fifty years ago Fr Nicanor was made a deacon. 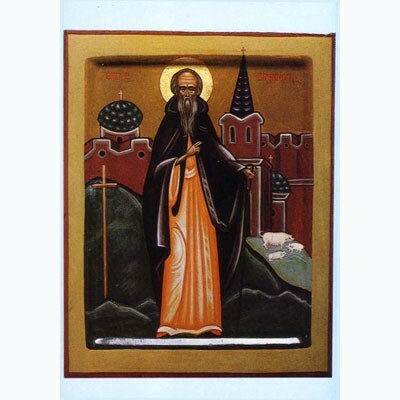 Archimandrite Barnabas had been advised to come to the South West by Metropolitan Anthony. He put Archimandrite Barnabas in touch with Father Nicanor, who helped him settle in this area. On Saturday evening, HE Archbishop John clothed Sister Sarah in the Riassa and Kamilavka. Sarah became a nun in the late 1950’s and she has lived as a solitary for the past 30 years or so, most recently on the edge of Dartmoor. She joined the Holy Orthodox Church and comes to our church for the Divine Liturgy each Sunday. It is a special joy for me to welcome her into our monastic fellowship. On Sunday, HE Archbishop John served the Divine Liturgy and ordained Brandon Gallaher a deacon. Fr Patrick Hodson, Fr John Behr (St Vladimir’s Seminary, New York State), Fr Nicanor Wilkins, Fr Stephan Maikovsky, Fr Timothy Curtis and Hieromonk Porphyrios concelebrated. Protodeacon Peter Scorer and Deacon Alexey Kostyanovsky served and brought Brandon forward for ordination. At the end of the Liturgy, HE Archbishop John gave Fr Nicanor the honour of having the Liturgy served with open doors up to the Lord’s Prayer, if he is participating in its celebration. He gave a gramota to Mrs Irina Scorer in recognition of her devoted service to the church over many years, as Director of the Choir. HE Archbishop John then joined parishioners for lunch. Later, Hieromonk Porphyrios took His Eminence to Combe Martin to meet Fr John Marks and his wife, Dawn. It was a very cordial meeting and a highlight of the weekend. His Eminence paid tribute to Fr John’s long and devoted service as a priest and visited the house chapel. Michelle Gallaher came and was on hand to translate. Next day, Hieromonk Porphyrios and Deacon Brandon took His Eminence Archbishop John to Exeter airport for his return flight to Paris. There is a short history of the parish for sale. Copies are available at St Anne’s Church and from Protodeacon Peter. 6.00pm: Vigil for the Patronal Feast of the Holy Prophet Elias. His Eminence will preside at the Vigil Service. 10.00am: HE Archbishop John arrives at the church. 10.30am: HE Archbishop John serves the Divine Liturgy and ordains a Deacon (Dr Brandon Gallaher). 1.00pm: HE Archbishop John joins parishioners for lunch at St James’ Hall, Mount Pleasant Road, Exeter, EX4 7AH. For the lunch, please bring food and drink to share. As it likely to be hot weather, it is advisable to transport your food in cool bags with added ice packs. 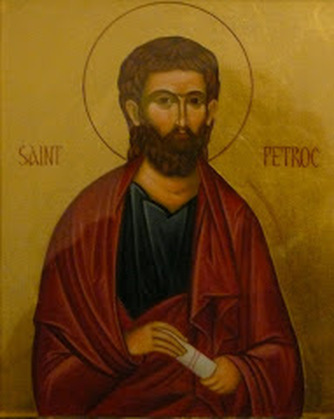 Vespers for Saint Petrock will be held at St Petrock’s Church, High Street, Exeter at 6.00pm on Monday 4th June. The bells will be rung from 5.30pm. 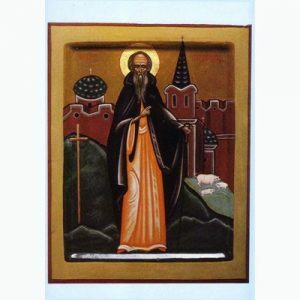 Vespers for Saint Brannock will be celebrated at St Brannock’s Church, Braunton at 6.00pm on Saturday 16th June. 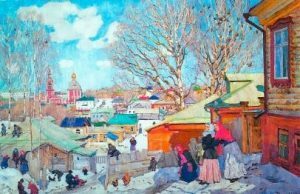 The Parish AGM will take place on Sunday, March 11th, 2018, after the liturgy and vespers. The venue will be confirmed after the liturgy or as soon as possible (it will not be at Silvania Hall as previously announced). All members of the Orthodox Parish of the Holy Prophet Elias are welcome. Contact the parish secretary by email at hpeliasdevon@gmail.com with any questions, including to find out how to be added to the membership roll.